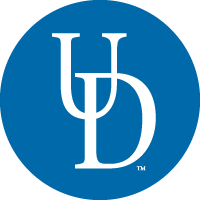 The University of Delaware is a proud leader in applied statistics and has developed a valuable and respected program in data analysis. Watch this video to hear from Professor and Chair Thomas Ilvento as he discusses how the online Master of Science in Applied Statistics (ASTAT) prepares students to advance in this rapidly growing industry. Joseph Simmons, MBA Hi everyone, thanks for attending this information session on the Master of Science in Applied Statistics here at the University of Delaware. I want to welcome you all, again we are going to discuss today the Admissions process, a little bit about the program and the University of Delaware. First I want to introduce myself. I am Joseph Simmons, I am going to be your Admissions Counselor, so any questions or concerns that you have, if you want more detailed information, I will handle that for you. Also you are going to be hearing from Dr. Tom Ilvento, who is the Professor, Chair and STAT Lab Coordinator at the Department of Applied Economics and Statistics at UDEL. So what we are going to cover today; first about the University, to give you all a little bit of an overview about the University of Delaware. Definitely go into more detail on the program, the Master’s in Applied Statistics that we offer online, as well as the Admissions requirements to gain acceptance to the program, the application materials that you need to submit with the application, as well as any contact information that you may need for myself or Dr. Tom Ilvento. Hi this is Tom Ilvento, I’m Chair of the Department of Applied Economics and Statistics and I’ve been a driving force in helping to get this online Masters in Applied Statistics started. I wanted to tell you little bit about the University of Delaware. Depending on where you are in the country you might not know as much about our state. We are one of the 50 states in the country. University of Delaware has been around a long time; it was founded in 1743 and chartered by the state in 1833. What is interesting is that we are a private university but we receive some aid from the state government and also from the federal government. That means we’re also a land-grant university – that we have a College of Agriculture – sea-grant, because we have a coast nearby, and also space-grant. We have research at the University that involves the space program. So we are a top university in the country. Our enrollment is nearly 24,000, over 4,000 graduate students, and over 1,200 faculty. That puts us out with all the doctoral programs that we have among the highest research activity in the country. We’re also known for good value in higher education, particularly among public universities. So statistics at the University of Delaware; people often ask me why isn’t it in the Department of Applied Economics and Statistics and in the College of Agriculture. While the program was formally in the Department of Mathematical Sciences, they went through a period where it went defunct at the PhD and the Masters level and somewhere around 2000, we decided to discuss with the remaining statisticians about coming into our department. And while we were quantitative Department of Applied Social Scientists, we were involved in teaching and doing research involving statistics. We certainly believed in the power of data and the importance of quantitative training in research and in industry. And our goal was to re-establish the Master’s program, which we did first, and then soon thereafter the BS degree in statistics. So our first graduating class of our regular Master’s program was in 2003 and then in 2018, which we feel is our next step, we started the online MS in Applied Statistics. As our strategy of teaching at the Master’s level, we’ve pretty much followed the American Statistical Association, the ASA’s Workgroup on Master’s Degree. We want hands-on applications and model building using a case study approach and the applied part means were going to focus on real data and real decision-making in our analysis. So anyone completing this degree will have a theoretical foundation in probability and mathematical statistics – that’s the hallmark of any statistics program. We’re going to give you a good foundation, and we have a two course sequence to do that. Then we’re going to follow-up with applied applications in areas like regression, design of experiments, logistic regression, multi-variate methods. So there will be applied coursework that’ll give you real skills. We want to give it exposure to various software including SAS, JMP, R, and Python. We’re going to have the ability to analyze a variety of data and apply appropriate techniques based on the type of data and the objectives of the research. So anyone coming out will be able to work with data, make decisions, and give recommendations based on the models that they built. We also wanted to build in the opportunity to do an applied research project designed by the student in conjunction with an adviser. So I want to make a distinction for anyone experiencing our program. We made a distinction between the course developers and then the instructors. So we chose course developers selected for their expertise in statistics and statistical practice. We are looking for people not only well-trained but also who have experience applying it in real world settings. The developer does the lectures, gives a recommendation on the syllabus and any handouts and assignments and exams – they’re designing the course for the students. Now each time we offer a course then we have an instructor and that person will manage the process of an online course offering. They’ll certainly be available to answer questions by email, or phone, or Zoom sessions. They’ll grade assignments and exams and assign the final grade for the class. Now there will be times when the course developer is also the instructor. We can’t guarantee that every time but quite often we’re going to be able to use our course developers who will also serve as instructors for particular course offerings. We’ve chosen people from a variety of fields and companies to help us develop our courses. We’re looking for people that have the expertise. Everyone has a Master’s or PhD in statistics, and an incredible range of experience working in a variety of settings; from banking, industry – it might be new product development, it might be quality control, it might be models to predict things like risk. So we were looking for people with the proper credentials in statistics, but also who are applying it in real fields each and every day. So our curriculum is based on a sort of core set of courses. Regression Analysis, Applied Multivariate Methods, Design and Analysis of Experiments, and then the core theoretical courses; the probability and the mathematical statistics. So every student will get that. And then were going to have a range of elective courses on a variety of topics – Biostatistics, Survival Analysis, Quality Control. We’ll have one credit courses that are be offered that will give introduction to different software, or techniques and we will be adding to this list as we move forward in our program. So what are we hoping for in this online program experience? As we thought about and looked at what other universities are doing, we had these ideas in mind: we wanted to design it for the working professional. We feel that’s our core audience. It might not be the only audience but with that was the core audience we had in mind. We are going to use a learning platform called Canvas, it is what our university has chosen as its learning platform and this is where all the lectures and core requirements of any course will be offered. We’ll also be using Zoom as a special meeting enhanced opportunity to either interact one-on-one or in groups with the course instructor. Most of our courses will span 15 weeks. We chose that on purpose; there will be summer offerings that will be shorter but ours will be eight weeks long in the summer. We think a longer time is a better way to absorb the material, so we decided against doing this sort of, eight week split each semester and focus more on a traditional semester length for courses. We expect most students to complete this part time, taking anywhere from 3 to 10 credits a semester and that’s been our experience thus far. They’ll typically spend about three hours of study, reading or homework for every hour of lecture, so that’s the ratio of what we think would be a good learning experience. So we also had philosophy as we thought about this. So what constitutes a course? We wanted to make sure there were lectures. Most of ours are voice-over PowerPoints. We did feel there was a great need in statistics to have a lot of talking heads, so we’re going to get down to the material, to equations, to understanding how analysis works. We will have a book that’s either suggested or required, so there will be reading material outside of the lectures and some supplemental material as well. That’ll be up to the course developer and sometimes the instructor. We’re going to have some mechanism to practice material and that’s where homework or quizzes will come in. In statistics, you just have to force yourself to try. It’s not enough just to watch a lecture; you’re going to get your hands dirty with data and using some type of software to do analysis. We also will provide opportunities to interact with the instructor and possibly other students in the class and Zoom is the software we’ve chosen to do this with. You can have multiple people in an interactive session. And then finally after you do all those things, the exams: that’s where you demonstrate your mastery, what you’ve learned throughout the course. With our quizzes, and exams, and assignments; we’re taking maybe a radical approach. We want to establish a bond of trust with our students. We’re going to ask the students to sign an Honesty Statement and thus far we’ve been using it for each course, and it’s with the instructor that you will do your own work and in return we’re going to make sure all these materials are available online. So exams will not be proctored, there won’t be somebody watching you, you won’t have to go to a testing center; we’re going to trust that you’re going to do your own work in an online exam on your own computer. We feel strongly about this approach, especially at a Master’s level, that you’re a serious student and we’re going to trust you to do your own work. Joseph Simmons, MBA Thanks for going over that with us Dr. Ilvento. I’d like to talk a little bit more about now is the career services here at University of Delaware. As a student you will have access to career services. A couple of things that we use are VMock which is our online resume critiquing system, so you can get an awesome resume out there when you’re looking for positions. You will also have access to Interview Steam, which is our virtual platform for practicing your interviewing skills. You will also have access to the University of Delaware Career Acceleration Network which puts you face-to-face with other UDEL alumni for networking opportunities and things like that as well. But also Handshake, which is our one-stop shop for jobs. We will post local and national job opportunities, you’ll be invited to career fairs, networking events and all those types of things as well. This is one thing we definitely want our students to take advantage of here at UDEL. Okay, so to discuss the Admissions requirements. What we require from our students is is a four-year undergraduate degree. What we look for is at least a 2.5 GPA on a 4.0 system. We look for students that have a background in mathematics, statistics, economics, engineering; however if that is not your background it doesn’t necessarily count you out of the program. We do look for you to have competency in basic stats, linear algebra, and advanced calculus if that is not the case. So programming experience is not required but it will be helpful if you do have some programming experience with this program. As Dr. Ilvento let you know we will be working with SAS as well as Jump!, so at least knowledge of those is helpful as well. One thing I want to touch on that’s not on the slide is if you have a Bachelor’s degree from outside of the US, we will require that you have an evaluation during your transcripts, and I will link some good ones in an email or anything if you need recommendations on that as well. And lastly candidates that do not meet all the requirements; it doesn’t necessarily count you out of the program. If you’re lacking on your GPA a little bit you just want to make sure are you good on everything else, and I’ll discuss that in a second. Ok so now we’ll talk about the Application materials. First thing that you would need to do is submit the application. There is a $75 application fee. You will upload your unofficial transcripts to the system that we use, as well as an official GRE score. Now there is a way to waive that GRE requirement; if you have a US Master’s degree, that GRE requirement could possibly be waived for you. Other than that if you do not have that, the GRE is required for all students. You want to have three letters of recommendation which are professional recommendations, so it can be from managers that you’ve had, instructors, colleagues, anything like that. We also want a copy of your up-to-date resume, as well as the Statement of Purpose essay. Now your supplemental document is something that we may require for you to list all of the math classes that you’ve taken if you don’t have that relative math degree, so just be aware that as well. And then the GRE, like I said we review holistically for this program so if you are under the 2.5 GPA maybe work on getting your GRE score little bit higher. If you’re under the GRE score that we require, you want to work on having some stellar Letters of Recommendation as well as a Statement of Purpose. So one thing isn’t necessarily going to count you out for getting admitted to the program but you want to make sure all of your documents are in the system. So let’s discuss tuition for this program. Our program is $1,000 per credit hour with a total of 30 credit hours, which brings you to a total cost of $30,000 for the program. Now included in that tuition you do get a license for the Statistical Analysis System (SAS), which is a $1,700 value for that. You’ll also have use of the SAS on the UD mainframe computers as well as the SAS studio. And what you’re getting is the online version available to students enrolled in higher education institutions. And other than that and your $75 application fee, there are no additional fees for this program. So what I want to do is thank you all of you again for attending this information session on the online Master of Science in Applied Statistics at the University of Delaware. Feel free to reach out to at onlinestats@udel.edu if you have further questions, concerns, or anything like that. You can reach me directly on my phone at 302-883-8991, and I do look forward to hearing from you. Thanks again for attending this session. Interested in applying for the Master of Science in Applied Statistics? You can start the application process here.